The drive between Newport and Seaside is only around 3 hours, if one were to drive straight through. In our ordinary fashion, we nearly doubled that time by stopping at a few places along the way. 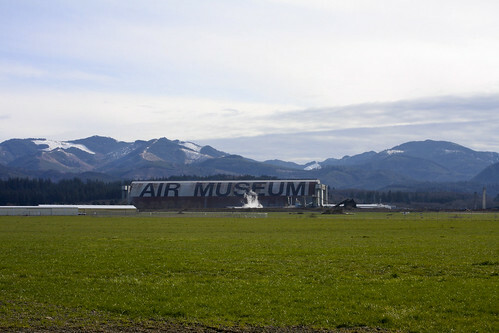 The first of these stops was the Tillamook Air Museum in Tillamook, Oregon. Within this emense wooden structure you can find a large collection of vintage aircraft. The history of the place is intriguing and the building itself is incredible (the world’s largest wooden structure). This is definitely worth a stop for anybody traveling through the area. 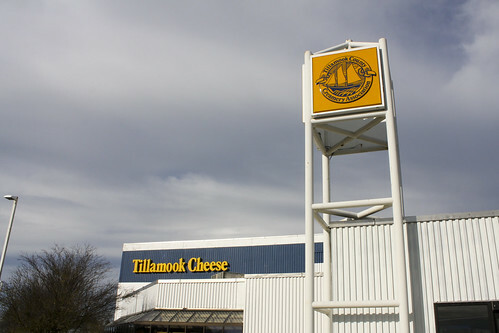 Our second stop was the Tillamook Cheese Factory. We’d all driven by this place before on various trips of our own – and we all really liked yummy, delicious cheese – so we planned to go on the tour of the place. We enjoyed a lunch of grilled cheese sandwiches and cheese and broccoli soup at their cafe. If you’re like us, and like good cheese, this is a great place to check out! We arrived in Seaside, Oregon and checked in to the Tradewinds Motel, our home for the next 3 nights. 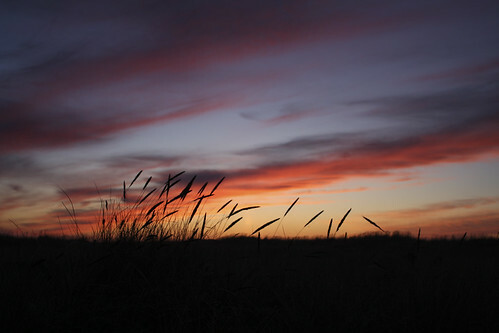 As daylight faded, the colors of the sky shifted from blue to orange, then warmed up to red. I grabbed my camera and ran out on to the beach to take some shots. The peaceful feeling that came over me warmed me, even in the brisk evening air. This entry will never get tired of watching an ocean sunset. This entry was posted on Wednesday, February 18th, 2009 at 9:46 amand is filed under . You can follow any responses to this entry through the RSS 2.0 feed. You can leave a response, or trackback from your own site.